<> Medical laboratory diagnostics (to find more, please click the link: cancer diagnostics.pdf). and many others (based on SNP/mutation detection). melTest kit® is a unique product used in UV-dependent skin cancer (malignant melanoma) predisposition diagnosis. 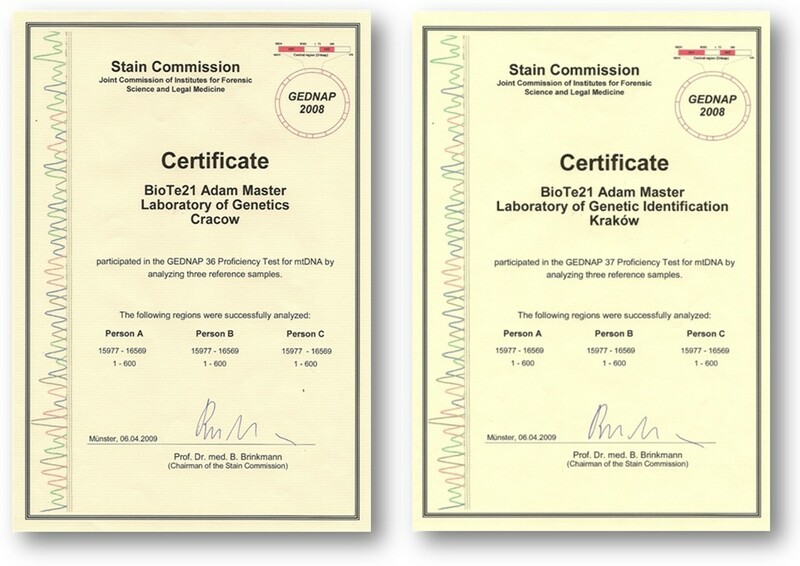 MelTest® has been designed thanks to many years of experience of BioTe21 in the field of genetic diagnostics. This experience allowed us to create a test specifically designed to detect predisposition for UV-dependent skin cancer. The diagnostics of UV-dependent skin cancer is based on DNA sequencing technology, as well as fluorescent analysis of SNP (mini-sequencing). An analysis of up to 15 SNP-type mutations in MC1R gene and up to 6 mutations in CDKN2A gene (both in correlation with high risk of skin cancer occurrence) is performed. Using our technology, there is no need for special preparation or adaptation of the laboratory. 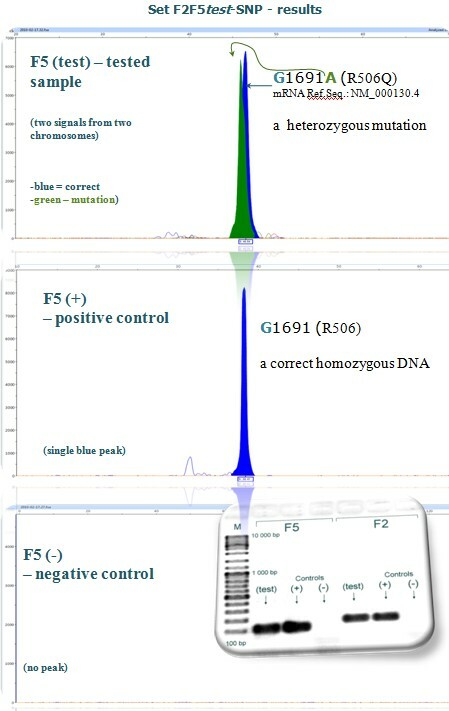 Analysis may be performed in any genetic laboratory (equipped with a thermocycler and a sequenator) an is an excellent way to make your offer of services even more attractive – which may be especially interesting for companies specialized in paternity testing using STP (Short Tandem Repeats) analysis of genomic DNA. Understanding the information about mutations associated with some hereditary diseases, and using preventive genetic diagnostics, may help the individuals in changing their life-styles (especially risky behavior, like an extensive sun-light exposition) if they have UV-dependent skin cancer predisposition, and therefore, save their lives. Hereditary Breast and Ovarian Cancer. 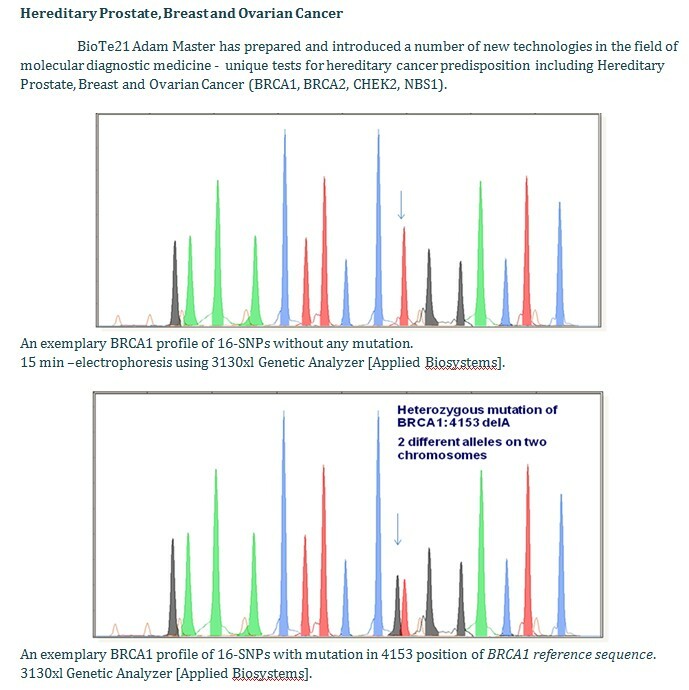 BioTe21 Adam Master has also prepared and introduced a number of new technologies in the field of molecular diagnostic medicine - unique tests for hereditary cancer predisposition including Hereditary Prostate, Breast and Ovarian Cancer (BRCA1, BRCA2, CHEK2, NBS1). 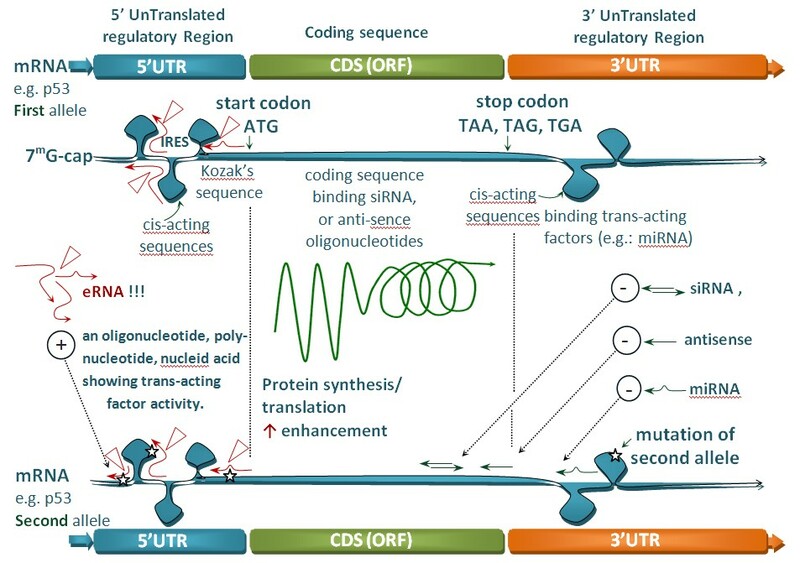 eRNA– enhancing RNA– selective enhancing of protein synthesis. The technology complements genes silencing methods (siRNA, miRNA). 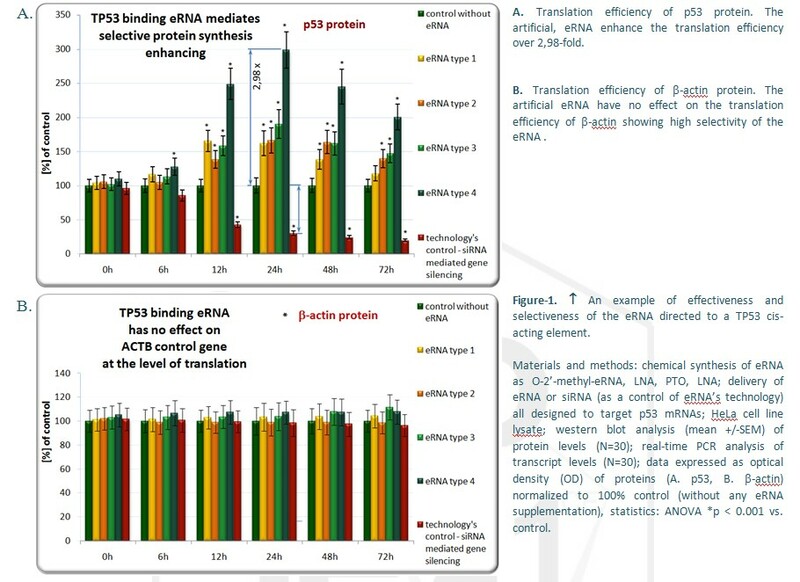 However, what makes eRNA different and exceptional, is the fact, that instead of inhibiting, it enhances the translational efficiency of chosen genes in selective manner. Both in biology and molecular medicine, selective silencing of genes is already being performed by the means of: 1) synthetic siRNA or antisense molecules as well as 2) non-selective, native cellular miRNAs. However, until now, there was no method for selective enhancement of chosen genes. Just like siRNA (artificial small inhibitory RNA) and miRNA (naturally occurring inhibitory microRNA), the eRNA may use RNAi related phenomena and/or RNAse H pathways to induce cellular response. However, what makes the eRNA different and exceptional, is the fact, that instead of inhibiting it leads to protein synthesis enhancement of selected genes or gene fragments even by 500%, in selective manner. • targets a selected mRNA - as designed before on the basis of a chosen sequence of a single gene or even its allele characterized by a single nucleotide polymorphism (SNP). 12. and many more that we can you propose you on the basis of your studies. BioTe21 Genetic Laboratory presented also an optimized technology of mitochondrial DNA analysis and its implementation. 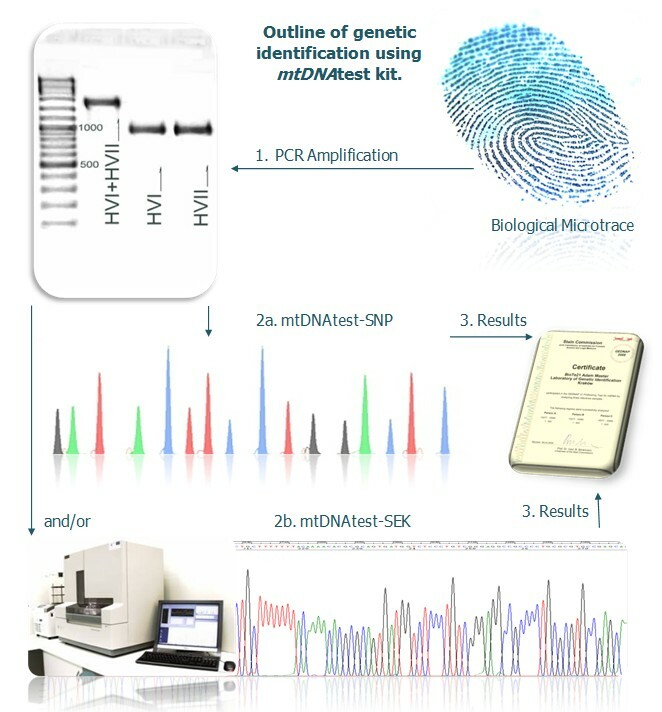 The unique mtDNAtest kit was designed for the purpose of genetic identification and mtDNA genotype determination. The kit is useful in population genetics, in the field of determining haplotypes and haplogroups helpful in lineage analysis and family tree construction. 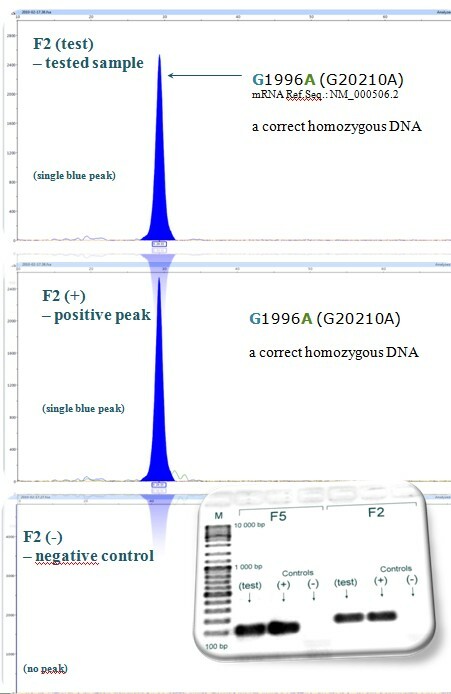 Many years of professional experience in the field of forensic molecular medicine, as well as the work with mtDNA allowed me to design and introduce a new test, which is, in technical terms, an extremely easy way to differentiate SNPs (Single Nucleotide Polymorphism) in mtDNA, based on the method of fluorescent DNA fragments separation (mtDNAtest-SNP module). 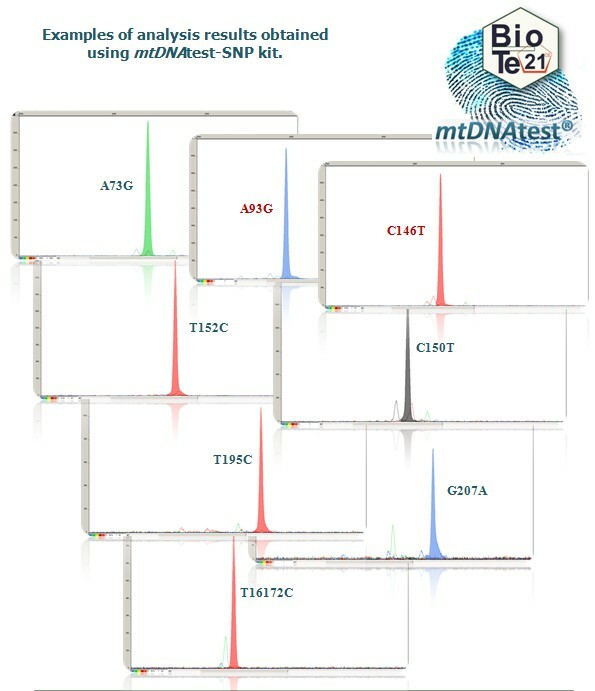 mtDNAtest kit will allow to yield reliable results, without the need of difficult sequence analysis. 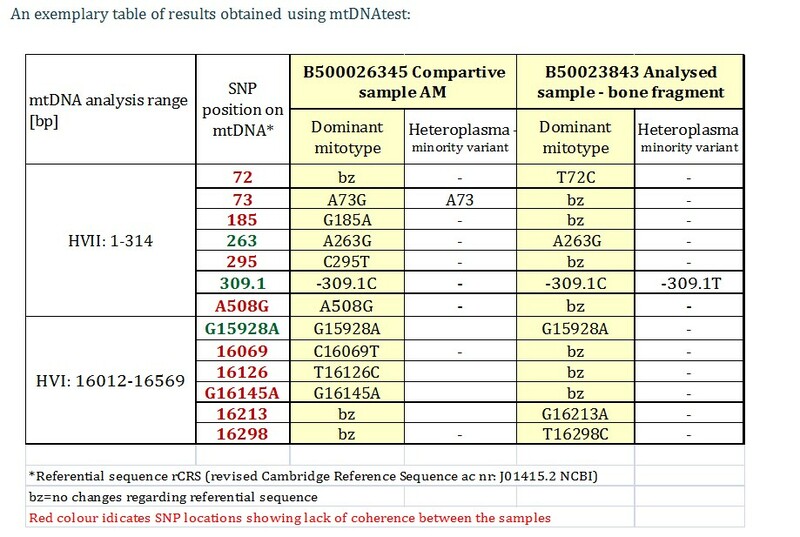 Specially chosen set of analyzed SNP allows analyzing the most hyper variable HVI and HVII sequences’ locations, therefore it is useful especially in genetic identification and comparative mtDNA analysis of biological traces. Apart from the mentioned innovative test of specific SNPs, it can be used a standard kit for the variable mtDNA regions’ sequencing with specially chosen set of oligonucleotides, allowing to yield highest quality results every single time (mtDNAtest-SEK module). MtDNA analysis, with the help of the technologies, does not require a specially equipped lab and, therefore, may be performed in any genetic laboratory routinely analyzing STR (Short Tandem Repeats) of genomic DNA (gDNA). 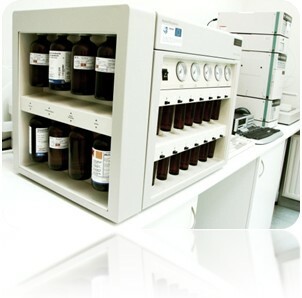 All you need is a thermocycler and a standard sequenator. The above presented mtDNAtest kit’s modules use different basic methods (minisequencing or classic sequencing) and may be employed separately. All rights reserved - Adam Master.